Senn Dunn Insurance: Add cyber liability to your auto coverage! Driverless cars face risk of hackers! Add cyber liability to your auto coverage! 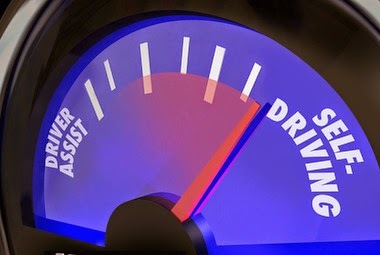 Driverless cars face risk of hackers! A red VW Golf jerks back and forth as it maneuvers into a parking space in the English spa town of Cheltenham. The halting efforts resemble those of a new driver, and in a sense they are -- just not from the person sitting at the wheel. The car itself is navigating into the spot, which it manages without a scratch. The man in the driver’s seat, who has his hands resting leisurely on his lap except for the occasional gear change, is a mere onlooker in this demonstration of the latest automated-car technology. While the idea of robo-cars whisking us off to our destinations may sound like science fiction, the technology exists and is largely ready for the real world. What’s harder to determine is the risk associated with the emergence of these vehicles.